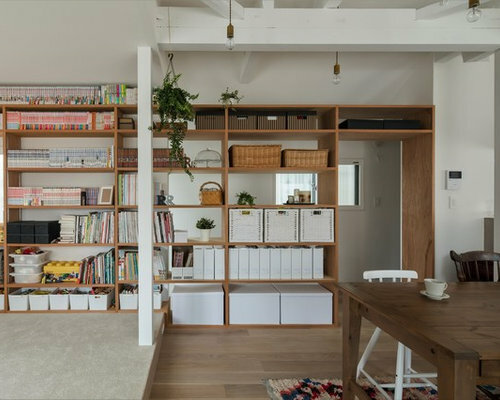 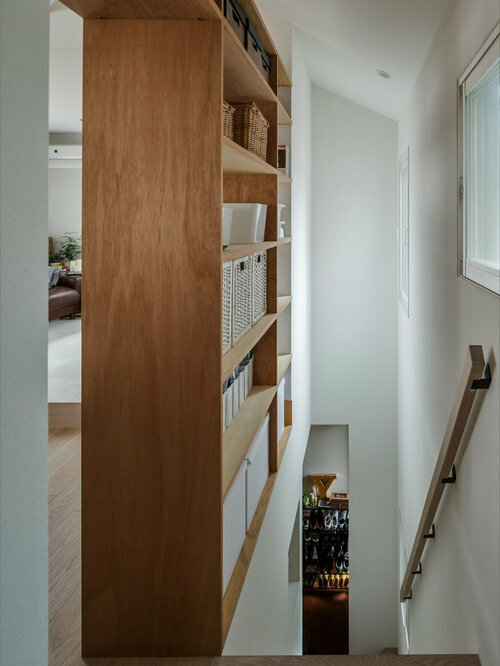 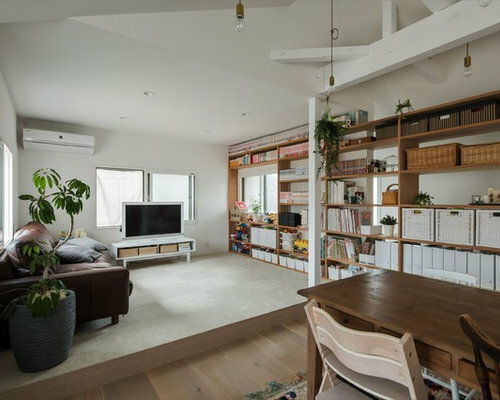 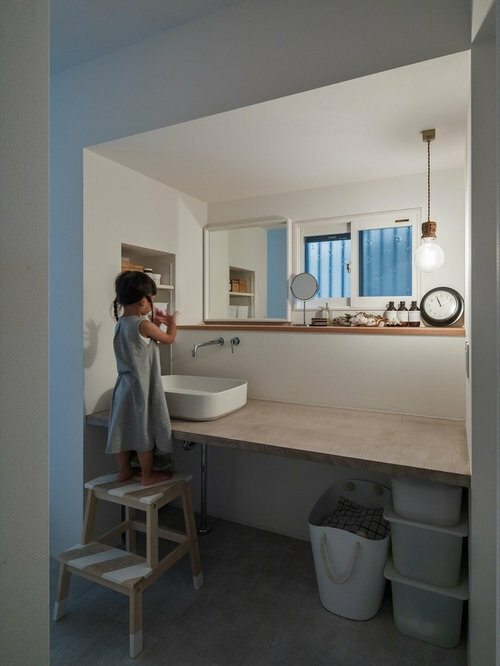 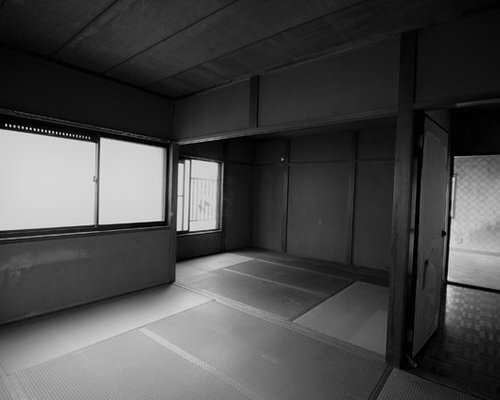 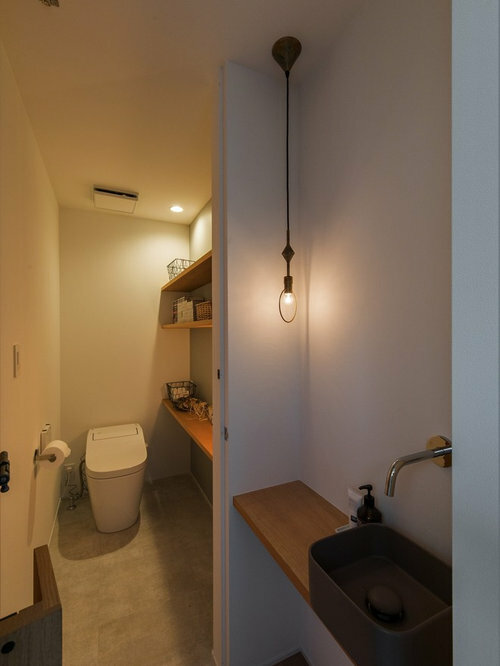 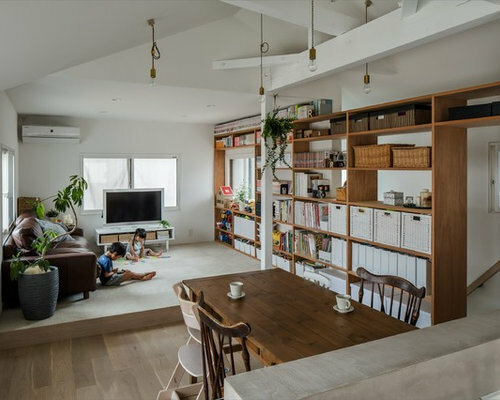 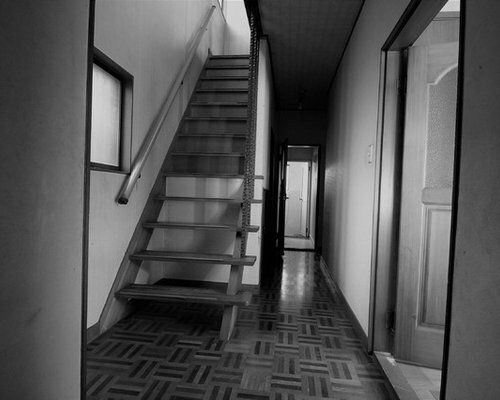 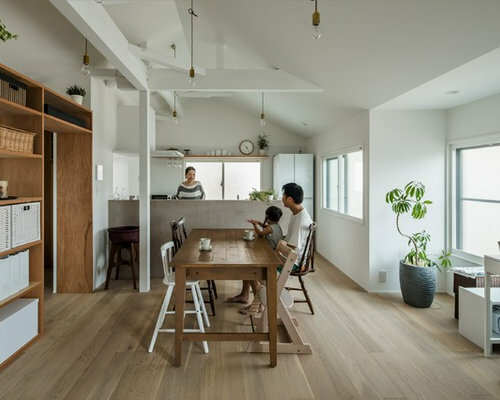 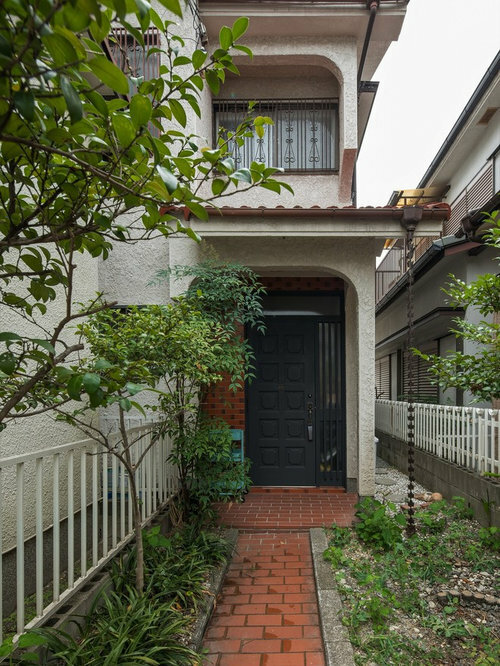 Our plan was to renovate a two-storied house with a total floor area of 91 m², located in Suita City, Osaka Prefecture. 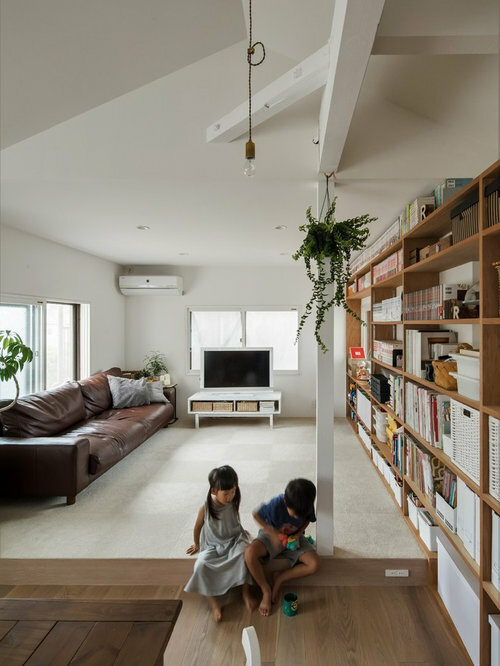 The surrounding area is a newly developed land where houses are lined up without any space between them. 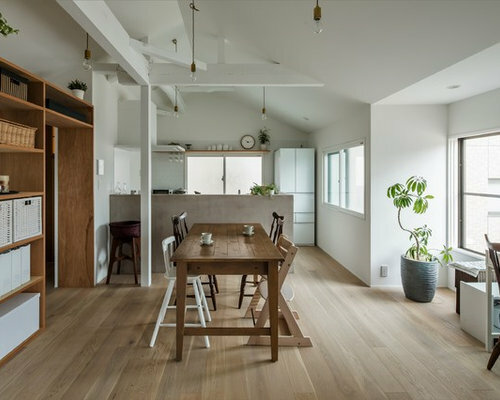 In city areas where the land prices are high and it is hard to build new houses, there are more chances to renovate houses these days. 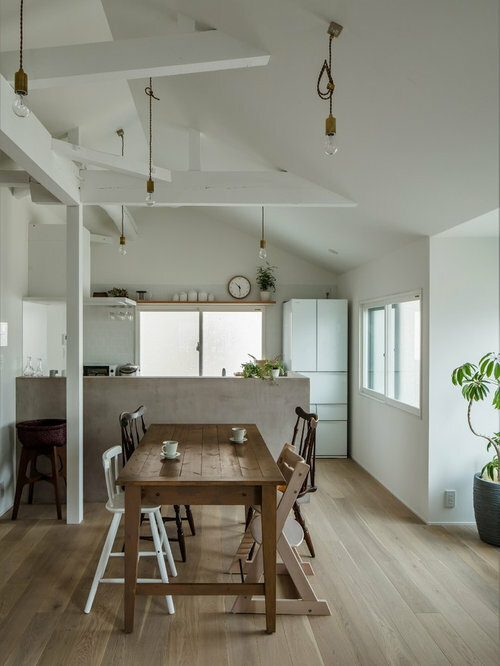 The house was built before 1981 based on former earthquake resistance standards, so this time, structural renovations were also required. 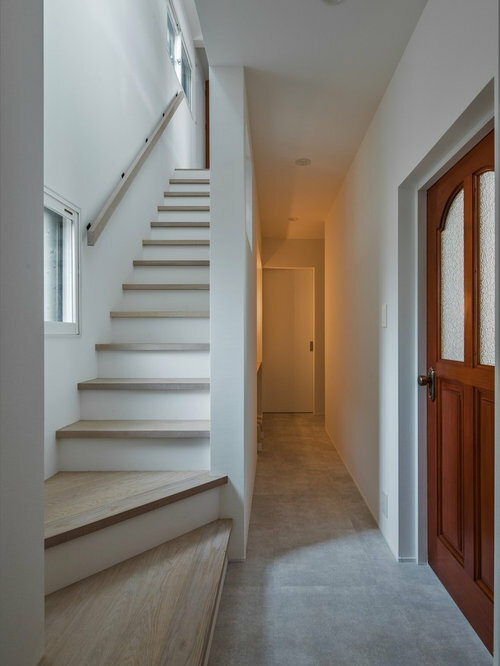 Thus, we made some structural parts transparent, and performed earthquake-proof repairs and the complete replacement of insulation materials. 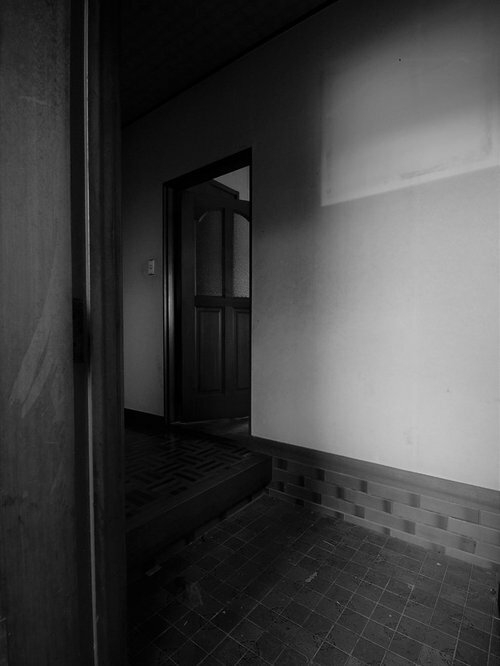 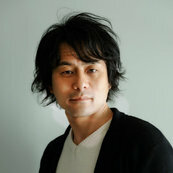 However, we also planned to leave some old materials in certain places. 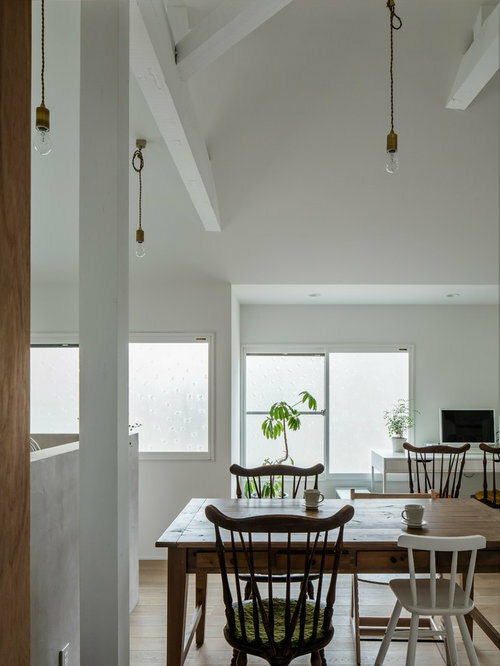 The land was a flag-shaped area surrounded by other houses, so the client wanted to have more daylight and windows. 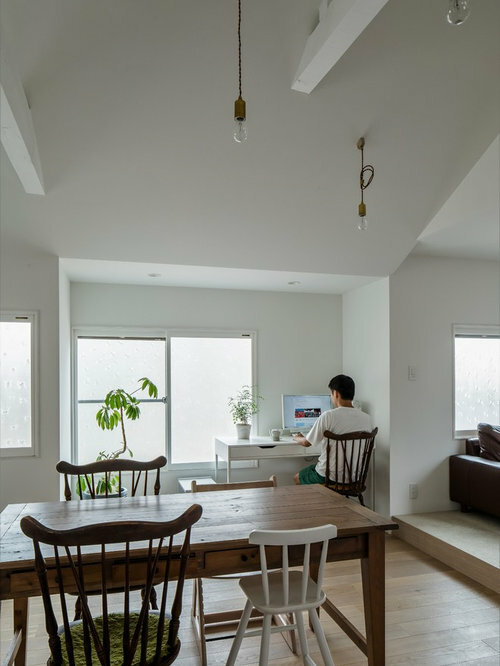 He requested a space with a softer atmosphere, where daylight from windows could come in. 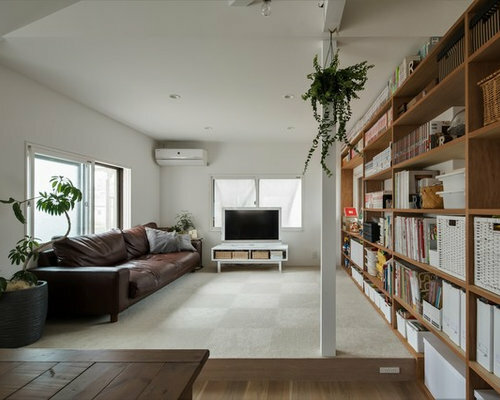 Originally the living room was on the first floor, but we planned to move it to the second floor so that it could get more daylight and wind. 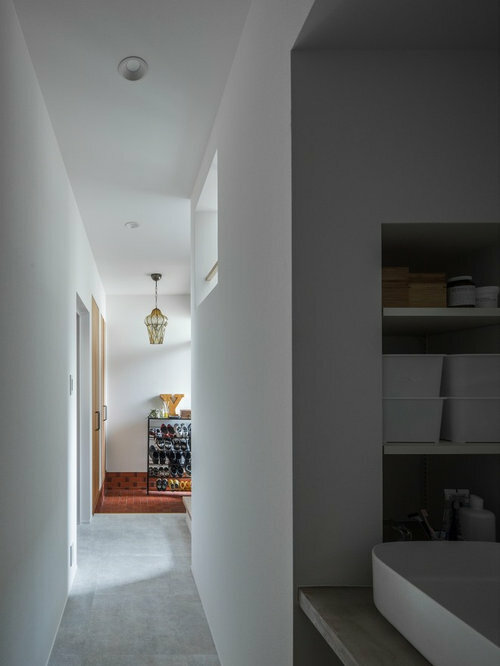 We tried to make the light reflection warmer and chose specific colors for the floors, walls and ceilings to realize that, choosing gray as an accent color to reduce the sense of presence of the whole design. 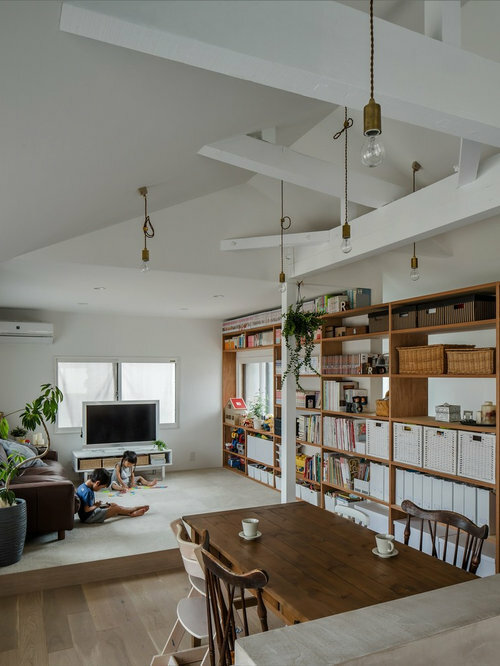 They had dark-colored furniture, so we made a design where the furniture would fit into a space which doesn't have much sense of presence. 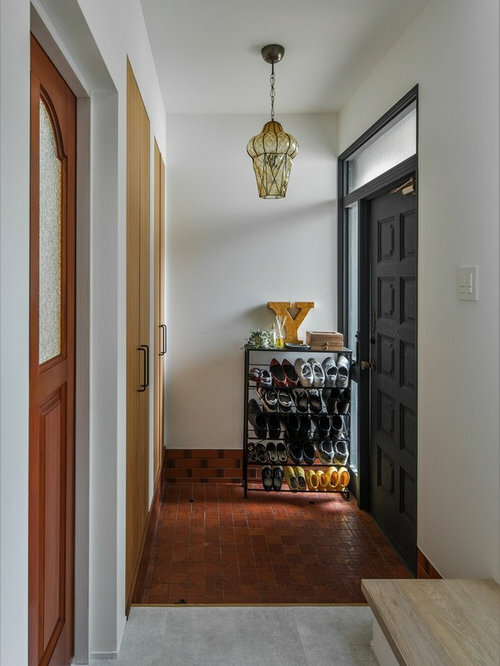 Also, in this space, we used old materials, including the tiles and joinery which were used before, hoping that it would give off a nostalgic feeling. 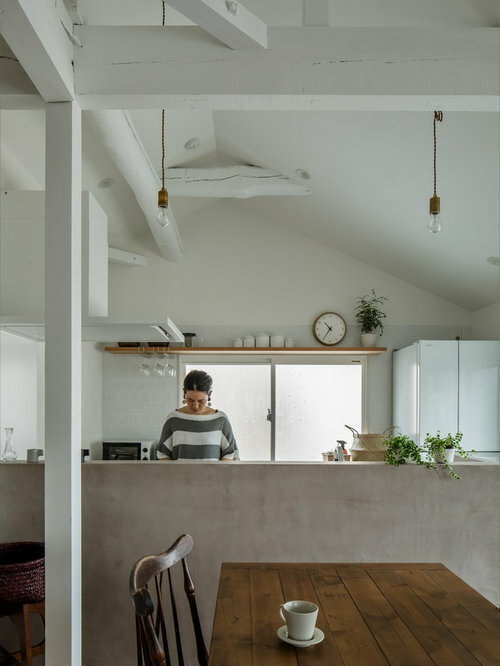 In urban areas where houses are tightly and closely arranged, a space without a heavy sense of appearance and where soft daylight can come in will provide them with a comfortable and relaxed atmosphere, and enrich their lives.